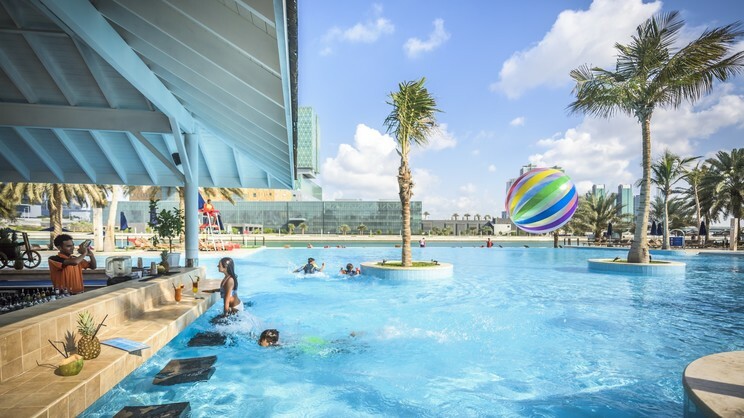 A premier resort located in one of the wealthiest hotspots in the world, Beach Rotana Abu Dhabi showcases plenty of 5-star style with flair. A leading resort, it boasts plenty for the rich and famous and those who wish to dabble in and out of life's high-class living as part of a dream break. Indulge in world-class cuisine, relax in sumptuous suites with panoramic city and waterside views and be entertained by shops, cinema and city galore at this iconic destination. Offering the best of everything, Beach Rotana also features a private beach club and kids' club along with other family-friendly facilities. For some pampering 'me time', hide away in blissful tranquillity courtesy of the Zen Spa retreat. 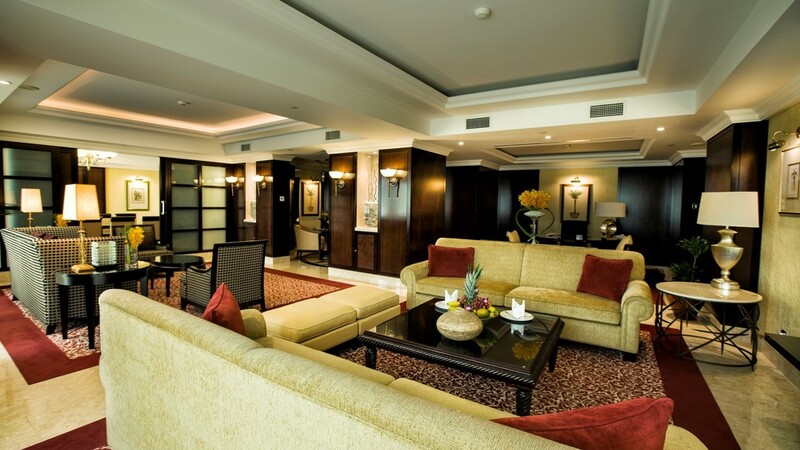 This is a fabulous resort perfect for business and leisure and simply oozing Arabian charm in first-class luxury. How far is the nearest airport ? Abu Dhabi International Airport is a 30 minute drive away. The starting point for Beach Rotana accommodation, these rooms offer 30 square metres space and plenty of standard provisions. Most feature a balcony with waterfront or views. You'll be situated in the grand tower wing overlooking the Abu Dhabi waterfront and mall and revelling in 40 square metres of luxurious space. Sink into a Jacuzzi bath or refresh in the walk-in rain shower before making use of the resort's exceptional facilities. 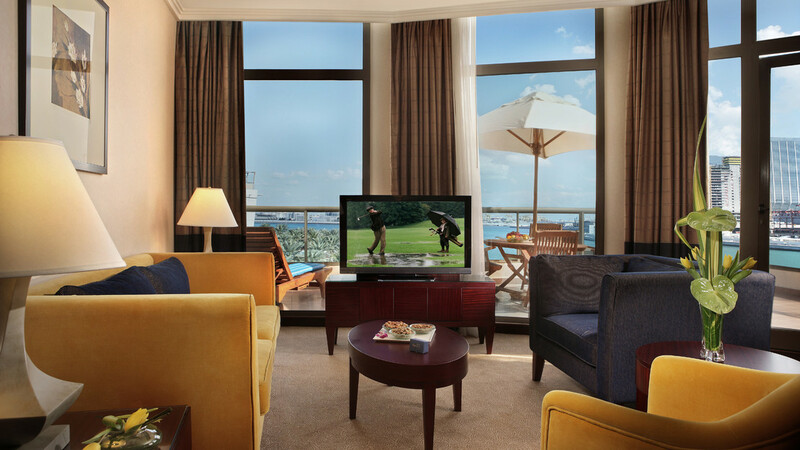 With stunning views and 55 square metres of space, these beautiful suites are located in the beach wing and the tower wing for discerning guests seeking plenty of comfort and luxury. An interconnecting option for families is also available maximising on privacy. A beautiful design of two private balconies overlooking the waterfront and a separate bedroom from the main living area is complemented by a private office, and large dining area ensuring this beautiful suite is something of a treat for privileged Beach Rotana guests. Similar in design to the beach suites, this premium category offers additional space and waterfront or city views. There is a Jacuzzi bath and walk-in rain shower plus extra finishing touches such as an iPod docking station, luxury bath products and high-speed Wi-Fi. 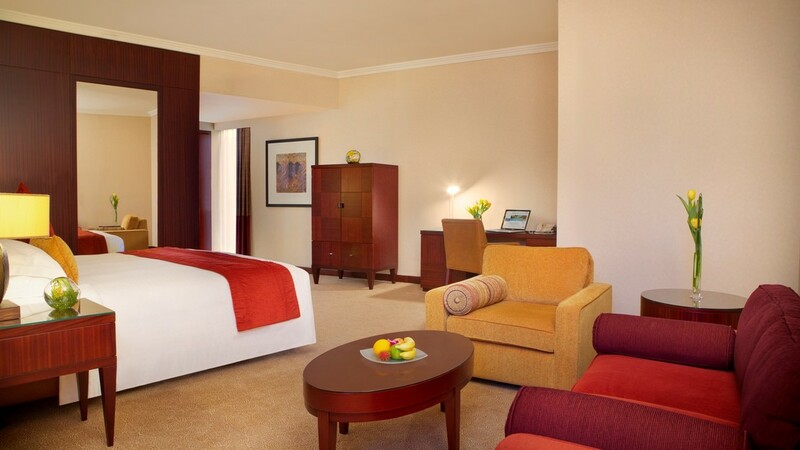 A separate lounge and master bedroom are luxuriously furnished for business and leisure guests and feature a private entrance to the lounge with a private balcony overlooking the city. Stepping up to the 5-star luxury is the fantastic Royal Suite, specially designed for VIP guests to retain privacy and comfort. One bedroom, two private balconies overlooking the bay and a dining table to seat 10 alongside a stylish lounge are just some of the perks to this beautiful suite. The kitchen is on hand for entertaining and convenience along with 24-hour room service to complement. Indulge in 240 square metres of living space! Embrace unique dining experiences on a vast scale here amidst the grandeur of Beach Rotana Abu Dhabi. A worldwide journey without leaving your seat is sure to delight the senses. Begin a seafood adventure and taste the freshest most delicate creations courtesy of the expert chefs here at Finz. Enjoy succulent prime steaks and shellfish cooked in the signature wood-fired oven amidst a contemporary dining venue. Enjoy vibrant Indian cuisine tat this modern venue with an avant-garde approach. This is an Italian restaurant where fresh pasta and wood-oven pizzas are specially made with true Italian flair and feature against many other traditional classics on the menu. A live Teppanyaki experience is in store here at this American-Japanese restaurant. Authentic German dishes, traditional beer and rustic favourites are served in this beautiful venue that also offers seating by a trickling stream and stunning views from the terrace reminiscent of a Bavarian town. Island cuisine at its best and a mix of Creole, French, and Latin American favourites makes this fantastic venue a place with Polynesian flair. All-day dining with creations from all around the world is the theme to this venue. Linger a while at this stunning beach restaurant serving light bites, sandwiches, lunches and refreshing drinks. Here is the perfect place to sit and watch the world go by with specialty coffees, sweet pastries and more, amidst a grand lobby setting. An additional exclusive retreat is this delightful lobby serving specialty beverages, breakfast, lunch and sweet treats throughout the day.